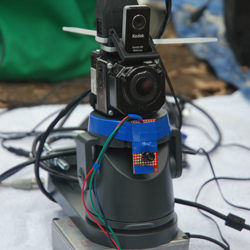 The Intelligent Camera Trap is a tool to provide ecological researchers with high quality remote footage of animals with minimal human interference. Using computer vision, the Intelligent Camera Trap is able to identify and track animals with its camera turret as they move around it. This produces more complete footage of a biological event, providing better footage for media and finer-grain behavioral information on the animal than commercially available traps are capable of producing.